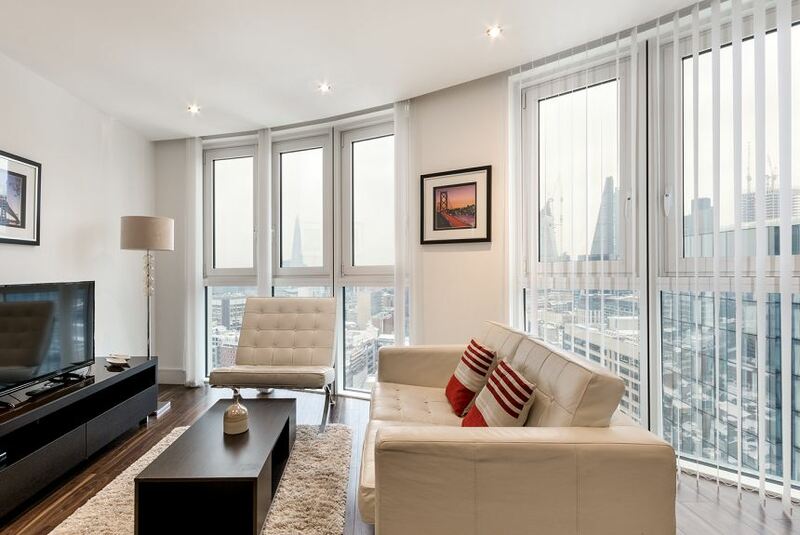 Designed for comfort, these spectacular serviced apartments in Central London offer a pleasant ambience and a host of functional services that will make your trip a big success. Inside the apartments you'll find all the great amenities that will make your apartment feel like another home. From the fully equipped kitchen, sofa, flat screen TV, cosy bed linen to the free Wi-Fi - you'll have everything that you need to kick back during your stay in the big city. The rich decor and fine pale colours make the living spaces very pleasant to curl up into, whether you're having a nap or watching your favourite shows. Finally, a balcony gives you a splendid view over the city and may bless you with a sunset. Our customer services team are on-hand 24-hours a day to deal with any queries you may have throughout your stay.